Enough of shoes. I should really get a new pair of trousers. 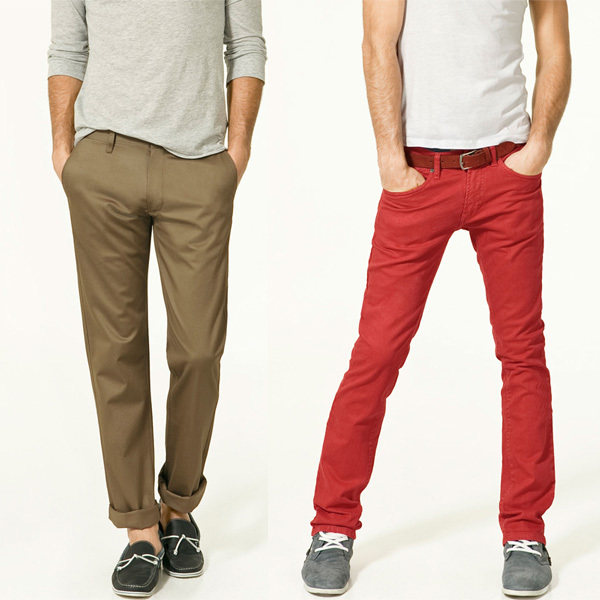 Should i get a Khaki or Red chinos? Khaki. Esp, if you wearing high impact accessories or outerwear, the red just gets too "loud" which can water down the whole look. Hey I have a question I'd like to ask you... was wondering if you could help me ID some YSL shoes? Thank you very much!! Sure. How can I help u? I thought you're going to email me on some of the Hedi blazers you're willing to let go? Mate i actually bought a pair from GAP (yes I am surprised too) they fit pretty spot on (narrow on the calf) and the length is just right when you rolled them up. Phil, which particular model did u bought? alright...i'll go check it out!